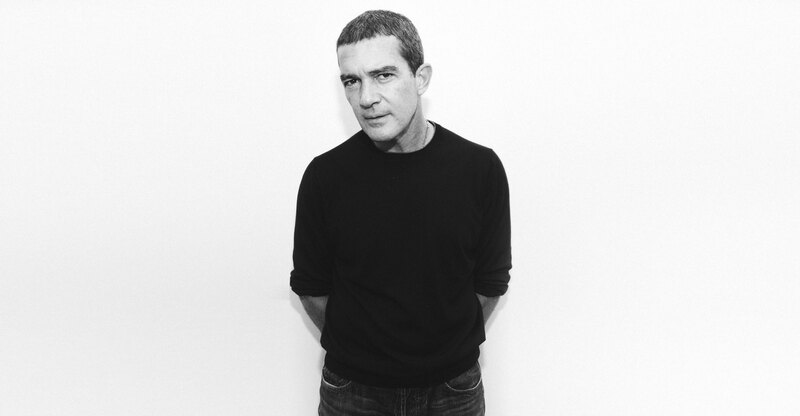 Mr. Banderas, how do you deal with fear? It would be a great answer if I said I reflect a lot, but that is not true. I act on intuition. I just let my intuition go in situations of fear. I live from my heart. I am not a cerebral person. I will never be. I am 55 years old. I will continue doing things the way I have done them my whole life. And it gave me mostly a great time. I like life very much. Picture me 15 years old on a cliff: I see people jumping. I am terrified, but I see more people jumping and I see a friend of mine also jump—so I jump. Would you still behave the same way today? Still the same way. I started skiing when I was 40 years old. I am competing now. I am not proud of this, what I did this Christmas, because they disqualified me from competing, but I have been skiing very heavy and very fast. I heard about Michael Schumacher, the accident, but I kept going. On the other hand there is a natural process in life, which means that if you live naturally you will accept those limitations more and more. I write more than I used to, I read more, I compose music. I feel like I am growing naturally so far. I started producing. I find enormous satisfaction in seeing people that I believe in, that have talent, and providing them with the tools they need in order to blossom, to flourish, to do what they want to do. Your mind starts changing. I have seen people that are sick, that always want to be 20 years old. Wrong. That is a call for suffering, because nature is a dictatorship. Nature is not democratic, nature makes you get old. It makes you a man or a woman and that’s it. But does that mean that you just accept what is given to you? With what is objective and certain, yes. It doesn’t mean I am not dreaming. I am dreaming. But I am dreaming according to the rules of the game. I believe in the freedom that you have to make choices in a free society. Of course, there are people that don’t have that and I don’t think we are ruled by the people that we voted for. We are ruled by markets and corporations and lobbies, but we do have choices—the choice to do drugs, the choice to jump out of a building, the choice to study hard, to obtain an objective. I have control over my skills. An accident can happen, but I don’t like to jump with a parachute, because it’s something I cannot control. I just pull on it and I don’t know whether it’s folded right. But not everything is black and white and I don’t like to be a fundamentalist of anything. When I was younger I used to have more anxiousness to obtain things. But there are moments in which you obtain those things and then you relax. There is something interesting when you observe other actors, other people in positions of public recognition, you realize it’s way smarter and better for your life if you are not number one or number two or number three. It’s better if you are in a place where you can live with a certain comfort, without being pursued, and at the same time you are doing work that you want to do. You have to be very egotistical and ambitious to try to keep that position number one. Because it’s not worth it. How did you learn to not take yourself too seriously? You laugh at everything. Humor is very important. For instance I cannot be with people who don’t have humor. Humor is equal to irony and irony in the end is equal to intelligence. Laughing is very important for me. And it starts with laughing at myself. Putting the important things first. And the important thing is yourself and the people that surround you, your family, and what it’s exactly what I want to do. Your father was a policeman. Did he support you becoming an actor? My father was probably the person who helped the most to be an actor. When I went to Madrid and I didn’t have any money, he continually sent me—not much, because he didn’t make much money—but he always sent me a little bit so I could eat and live in a pension. And he saw it. Before he died, he saw me in Hollywood, he saw me on Broadway, and it was very nice to see my father, a very old man, sitting there and smiling. It was a very satisfying thing that he saw his son having success on Broadway. It was very beautiful. When my father came to the theater, it was like there was nobody else there. There were 2,500 people in the theater, but I did the performance just for my father. Do you think your humble roots have made you a better actor? I don’t come from a poor, poor family—I never missed my food and my clothing when I was a kid—but we were not rich at all. I have members of my family who worked in the fields as peasants, so I know what it’s to work with your hands every day. I am closer to that reality than if I would have been born in a different type of reality. That made me understand the characters that I am now trying to perform. If I had been born to a rich family, there would be more distance in the comprehension of somebody else’s reality. Apparently you wanted to become a football player until you broke your foot at the age of 14 and it was only after that that you pursued acting seriously. Do you believe in fate? No, I don’t. I don’t believe in fate, not at all. Fate can be transformed by you. Your career seems to validate that judging by how you made your way into Hollywood without even being able to speak English very well. That probably is part of my Andalusian culture, reflected by all the artists, Picasso, Federico García Lorca. For Andalusians, the fact that the only certainty in life is death is very present. Everything else is relative. So since I was very little I knew that very clearly: There is only one life. What are you going to do? I wanted to know, so I was very curious my entire life. I wanted to travel to different places. I have the feeling that I will die old—if I stop smoking maybe—and I think I will still be a kid. It’s very rare that something kills my curiosity. So that curiosity is the engine that makes me move through life without fear. I have no idea. But I have the feeling it’s not going to be oblivion and nothingness. There is something there. There is a mystery out there beyond death, covered by the arrogance of our intellectuality sometimes. I do believe there is something that we don’t understand. I live very comfortably in the mystery.